This chapter introduces DeepSee models. 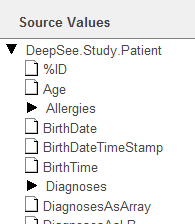 Within the DeepSee Analyzer, you create pivot tables. The chapter Basic Concepts provides an overview of cubes and subject areas. A model can contain many additional elements. 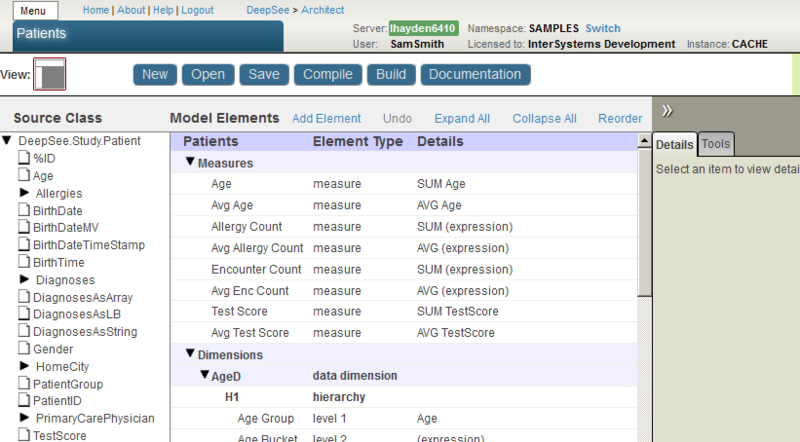 See the chapter Summary of Model Options for a complete comparison of the options. 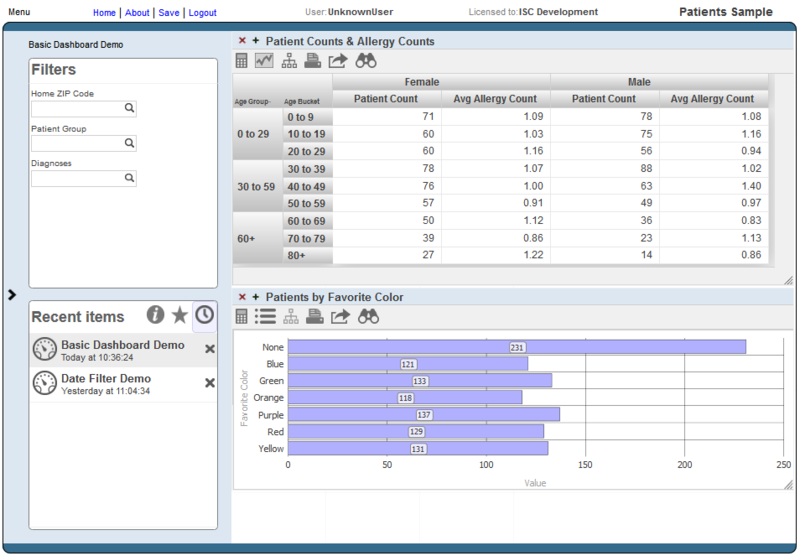 Use the Analyzer or the DeepSee shell to examine the results and to identify changes to make. 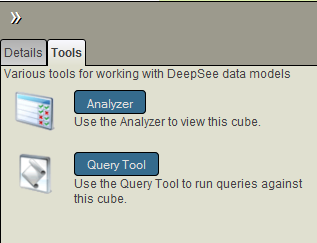 For information on the shell, see Getting Started with DeepSee. Click DeepSee and then click Architect. 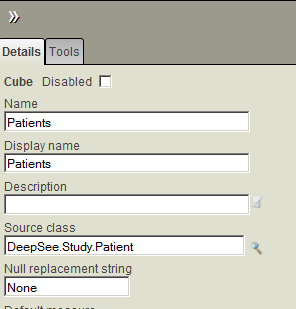 For example, the Architect does not display DeepSee.Study.PatientDetails or DeepSee.Study.PatientEncounter. 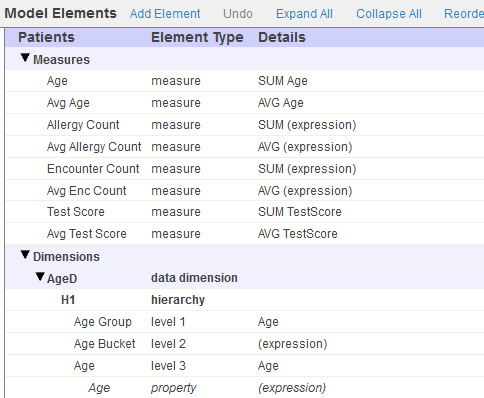 The Architect provides a useful view of the class properties, which makes it very easy to create DeepSee elements based on those properties. It is important, however, to know that although this view provides a convenient way to access some properties, you can also use a source expression to access any data. These source expressions are evaluated when the cube is built and thus do not affect your runtime performance.